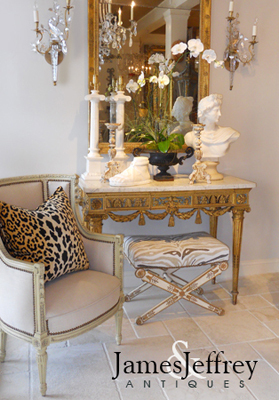 Console table, having a free-form top of Carrara marble, its base with a natural wood finish, elaborate pierced carvings of the Rococo period decorate its apron, and continue to its double-scroll legs, ending in pad feet. CONDITION: Excellent antique condition consistent with age and use. Desirable wear to finish. 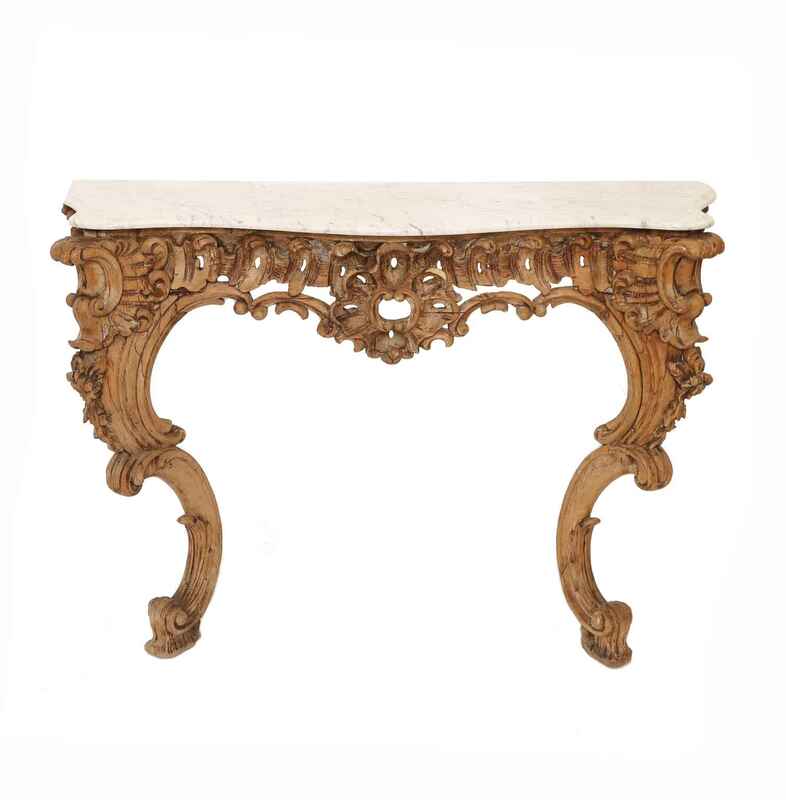 Console table, having a free-form top of Carrara marble, its base with a natural wood finish, elaborate pierced carvings of the Rococo period decorate its apron, and continue to its double-scroll legs, ending in pad feet. CONDITION: Excellent antique condition consistent with age and use. Desirable wear to finish.